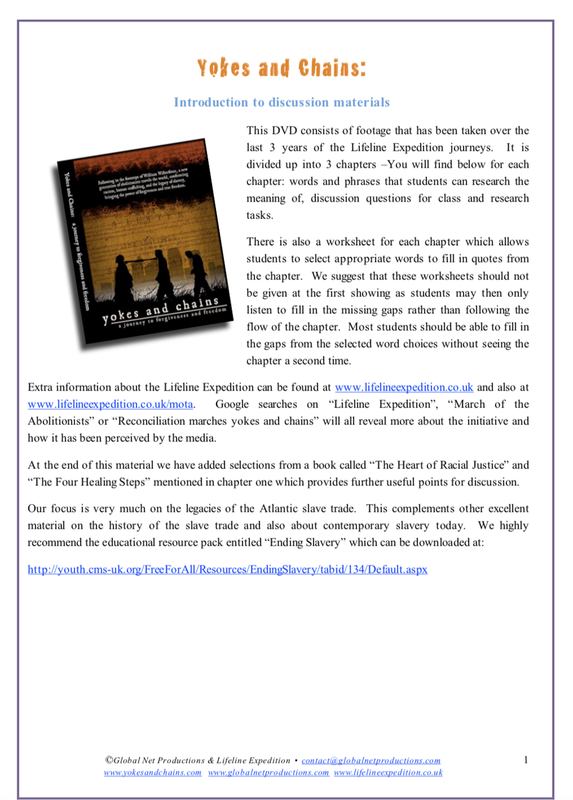 Join the adventures of The Lifeline Expedition, a multi-racial, international group, as it travels along former slave routes, bringing an apology for the horrific legacy of the Transatlantic slave trade. These emotionally charged journeys continue what the abolitionists began almost 200 years ago. Cameras capture the raw emotion of the racism and prejudice many slave descendants still face today. As sorrow is expressed, anger and bitterness are released - emotionally and spiritually. Watch the healing begin as whites and blacks release buried emotions of anger, sorrow and pain as they begin to forgive and reconcile, changing forever their perception of each other and themselves.